Bitcoin bettors can now stake on esports tournaments like Dota 2, CS:GO, League of Legends, and more. Find out how wagers are enhanced thanks to Bitcoin. Besides casino games like slots, blackjack, and poker, sports matches are also available for wagering using cryptocurrency. 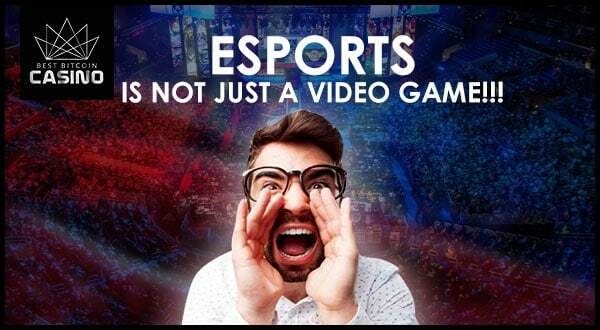 And thanks to the evolution of technology, video game tournaments—or esports—are now considered a legitimate category of sports. Before, traditional sports enthusiasts would look down on the genre as it involves sitting down in front of a computer and defeating fellow players. But now, major esports now include sold-out stadiums, millions of dollars in prize money, and elite players making million-dollar salaries. Esports is also a game that players can stake bitcoins on. Head to a Sports section of a betting site, and you will find some esports tournaments with almost the same mechanics as those for bets on traditional sports. Even better, you will enjoy the same benefits the cryptocurrency provides when you use it to bet on esports. These include easy registration, fast transactions, and minimal fees, among others. Also known as CS:GO, the game is an FPS title that involves two teams fighting on various maps. One team has a mission, which usually involves rescuing a hostage or planting a bomb in an area. On the other hand, the other team’s task is simple: to stop the opposing group. In major competitions, CS:GO follows five-versus-five formats. Released in 2013, the game involves two teams with five players, each with different characters and abilities. Simply put, one team wins when it reaches and takes over its enemy’s base. This straightforward gameplay, plus the rich details of the game’s universe, among others, turned Dota 2 into one of the most popular esports in the world. In fact, the franchise holds The International Dota 2 Championships, one of the major MOBA competitions in the world. Often abbreviated as LoL, this game shares the same mechanics as Dota 2, combining elements of traditional role-playing video games and real-time strategy. There are two teams with five players each, with members possessing unique abilities. These teams then clash with the goal of destroying the enemy base. Similar with CS:GO, Overwatch is an FPS game played with two teams with six players each. Unlike the former FPS title, though, the latter allows players to choose a role from a roster of nearly 30 characters (known as “heroes”). The team members then work together to fulfill missions such as securing and defending control points, or escorting a payload across a map for a certain amount of time. Players also receive character skins and victory poses, as well as cosmetic rewards that do not affect gameplay. A follow-up to one of the earliest esports, the RTS is set in a futuristic world where players can choose to join one of three races: the human Terrans, the insectoid Zergs, and the humanoid Protoss. The goal, then, is to build a base and an army to wipe out the opposing player. Unlike other esports like Dota 2 and CS:GO, this title follows a one-versus-one format. 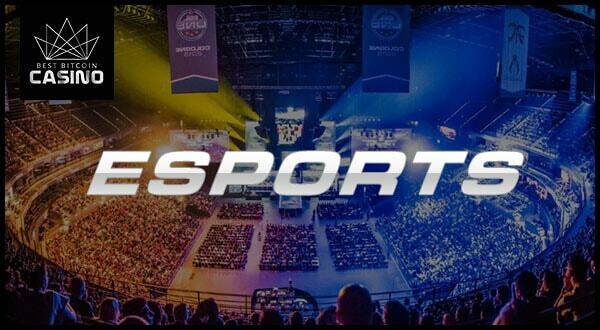 These five esports are almost always available for betting on major online sportsbooks. Moreover, new games appear regularly, so you will always get an updated list of esports betting markets. If you are familiar with Bitcoin sports betting, wagering on esports using the cryptocurrency will be easy for you. Your potential winnings depend on the odds of the selections. Esports bets also come in different formats, including decimal, fractional, and money-line. You can choose to wager on single or multiple selections in your bet slip. On the other hand, some gaming hubs allow you to combine your esports bets with bets on traditional sports. Meanwhile, the standard betting markets are the same as those on traditional sports. Some common markets include match bets and tournament winner. There are also handicap wagers and over/under bets. But what makes esports betting exciting is that some betting markets depend on the type of sports you are betting on. FPS titles usually accept bets on the team with the most number of kills or which team drew first blood, among others. Esports has definitely changed the way casino gamers can stake their cryptocurrencies. Not only are the games action-packed, but they are also straightforward to wager on. And with the use of bitcoins, you can be sure that your betting sessions are fun, fast, and fair.